Volvo has taken a bold new step forward for 2018, completely redesigning the XC60. In addition to a massive amount of safety features that are standard on every model, this luxury compact SUV boasts a well-appointed interior and is even offered in a T8 plug-in hybrid package. 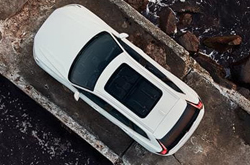 Take a look at what the new 2018 Volvo XC60 is all about. 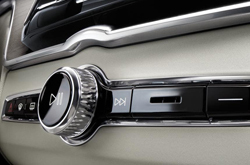 The XC60 is available in three trim levels: Momentum, R-Design, and Inscription. 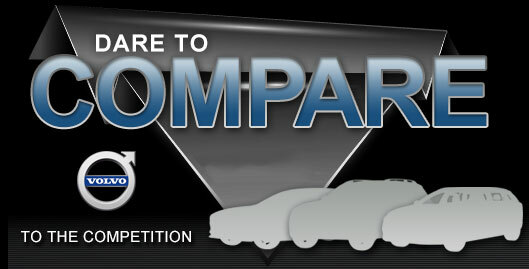 However, even the base model, Momentum, is better equipped than most vehicles on the road. 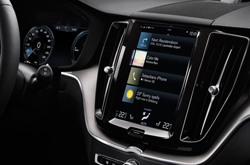 It includes leather upholstery, a panoramic sunroof, Volvo's City Safety Collision Avoidance Technology, Lane Keeping and Road Sign Information, Apple CarPlay and Android Audio integrated into the 9-inch Sensus Touchscreen, 10-way power seats with memory and LED headlights with Auto High Beam. The R-Design tightens up the suspension and adds 19-inch wheels, drive mode settings, navigation, shift paddles and brightens up the interior with a larger 12.3-inch driver display and several model-specific visual touches. The top of the line Inscription makes the ride comfortable for everyone with four-zone automatic climate control and driftwood interior trim, as well as adding a hands-free tailgate and proximity-key entry. Any of these three trims can be paired with any of Volvo's three available powertrains. The base engine is a turbocharged 2.0L inline-four, producing 250 horsepower and 258 lb-ft of torque. The T6 ups output to 316 horsepower and 295 lb-ft of torque by replacing the standard turbocharger with a supercharger. The T6 is also available with a plug-in hybrid system, the T8, that can produce a remarkable 400 horsepower and 472 lb-ft of torque. These engines are all mated to an eight-speed automatic transmission, and all-wheel drive is standard across all models. The 2018 XC60 has earned a Top Safety Pick award from the Insurance Institute for Highway Safety. The remodeled SUV is loaded with standard safety features, including Automatic Braking after Collision, which brakes automatically when airbags are deployed or the safety belt pretensioners, and Brake Pedal Release, which disengages and drops the pedals to the floor in the same situations to prevent foot/leg injuries. 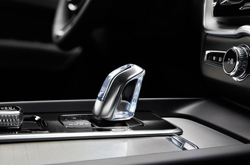 Standard safety features also include Volvo's proprietary City Safety technology, a support system that automatically brakes to avoid low speed collisions in slow-moving or stop-and-go traffic, daytime running lights, driver alert controls, hill descent controls, hill start assist, lane keeping aid, oncoming lane mitigation, road sign information, and more. With an available convenience package, the XC60 can do even more to keep you safe on the road, offering Active Bending Lights that turn the headlights as you steer, Volvo's Blind Spot Information System, Distance Alert to help avoid rear end collisions, and Homelink. The convenience package also comes with Pilot Assist, a semi-autonomous drive system that provides gentle steering support to keep you in your lane while also integrating Adaptive Cruise Control, which detects slower moving vehicles in front and brakes accordingly. Crest Volvo Cars invites you to come experience the new 2018 Volvo XC60 for yourself today.